EB Festival Dresden: Mount Kimbie added to line-up! The wait is over. 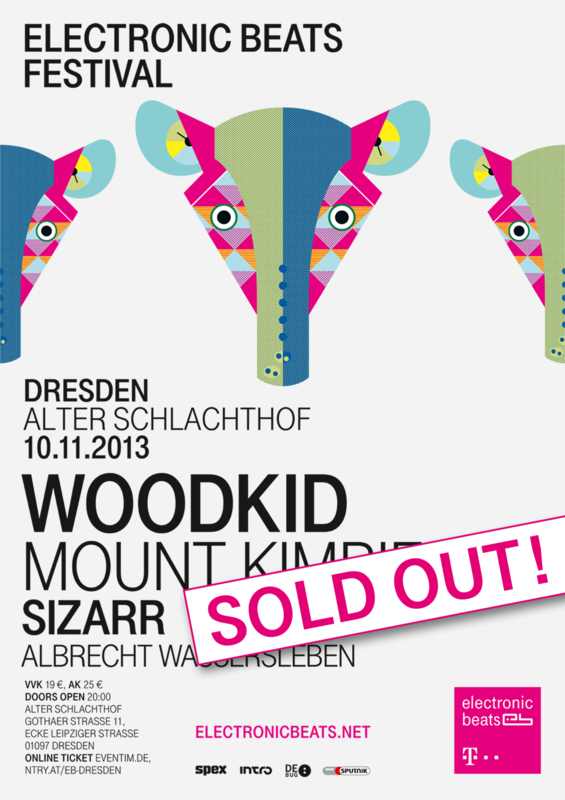 We’re excited to reveal that the third act to be announced for Electronic Beats Festival Dresden is Mount Kimbie. We were so blown away by their performance at EB Festival Podgorica that it was obvious we had to invite them back for another round. The London duo join baroque pop maestro and general renaissance man Woodkid, German post-punk torchbearers, Sizarr and local star Albrecht Wassersleben for the festival which takes place on November 10th at Dresden’s Alter Schlachthof. There’s no doubt that Kai Campos and Dom Maker are having a moment right now. Where once it seemed they would be permanently scarred with the post-dubstep tag, their Warp-released second album Cold Spring Fault Less Youth marked a shift in confidence. Their songwriting chops—once subsumed by texture and mood—were given room to breathe and the precise, delicate structures of Crooks and Lovers have been ousted by plunging, assertive sonics. As anyone who saw them in Podgorica will attest, they’re a vital proposition live. If you weren’t there, you can watch highlights from their performance below and read a report from the night here. You can also watch a Slices feature with Dresden-based label Uncanny Valley, a label Albrecht Wassersleben is closely associated with. UPDATE: Unfortunately, all tickets have now sold out.